Massaging Brush #1 It is designed for babies over 3 months of age. It has been specifically designed to feel soft on the baby's gums. 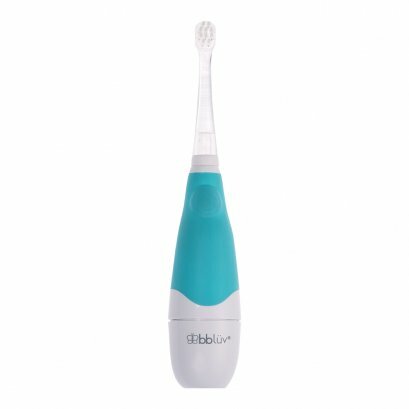 It allows parents to brush and massage gums gently. Massaging Brush #2 It is designed for babies over 11 months of age. 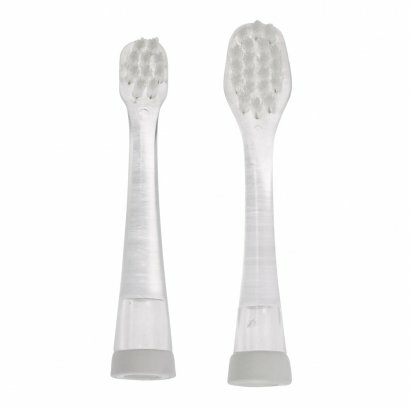 This brush massages and helps clean during the teething process. Also, this age is the ideal time to teach your child proper brushing habits and encourage the start of good oral health. Nylon Bristle Brush Designed for babies with teeth. 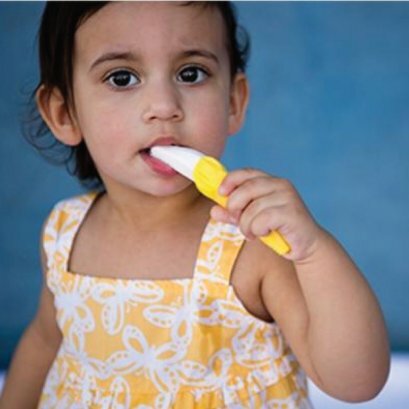 Ask your doctor or dentist about when to switch to the soft nylon brush once teething begins. And remember, until your child has the dexterity to do it alone, you should follow up with additional brushing, etc. until they are older.